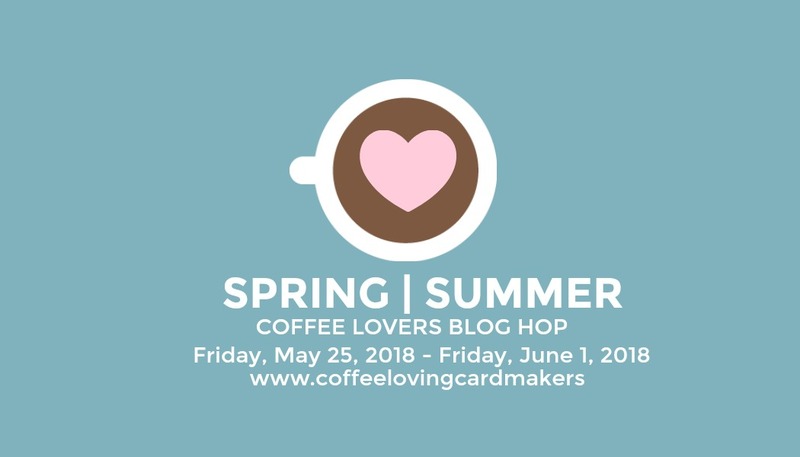 It's time for the Summer Coffee Lover's Blog Hop! Grab yourself an iced coffee, get caffeinated and buzz along. ;) You can start the blog hop HERE. I think it's been approximately a year since I made something!!! Ok, #exaggerating... maybe 6 months since the winter hop. LOLOLOLOL I couldn't resist using the sloth from the new stamp set we released yesterday called Breathe Rainbows that is a collaboration with Kimma Parish (Le Petite Market). There is a rainbow image in this set and I thought oooh, that would be cute with an array of rainbow colored coffee cups and voila... *instant* cuteness! Though instant is kind of a lie because it takes me forever to make a card. HA!!! There are lots of fabulous sponsors and prizes along the way so make sure to leave some love and link up if you're so inspired. I have lots of fun coffee themed products in the shop so check 'em out. OMG.. that is tooo funny!! Coffee Zen!! I love it! eep! I absolutely LOVE the new set, so fun and YAY for you getting crafty! Thanks so much for being a Super Sponsor! Ooohh... that is such a fun card idea! It's almost looks like he's juggling... so cute! So adorable, I love those coffee cups spinning in the air. Thanks for being a super sponsor. Such a cute card! Thanks for sponsoring the hop! Oh how swwweeeet is that coffee rainbow!!!! Love that kinda rainbow!! Thanks so much for being a Super Sponsor! So cute with fun! Thanks for being a super sponsor! oh my gosh, I have got to get this stamp set!!!! your card is adorable! :) my son's girlfriend not only loves sloths, but she teaches yoga. yep, better run add it to my shopping cart this weekend! so happy I stopped by. thanks for being a sponsor! What a cute card! Happy to have a chance to know about you through the hop! So nice to see you join us as a Super Sponsor! Crafty hugs. This cute image proves that we ALL need our coffee. Thanks for sponsoring! I LOVE this card! It's so zen! Thanks for giving me a much needed smile and for being a part of the hop! What a fun card. Thanks for being a super sponsor too. 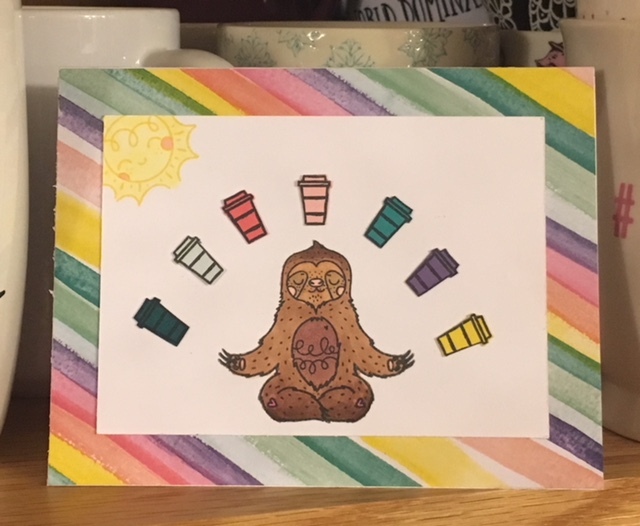 Your card made me smile, what a lovely card with those rainbow cups and the cute Sloth. Thank you for being a sponsor from me tooo! love the rainbow background to go with the rainbow cups.Thanks for being a super sponsor. Lol love your card Vanessa and it’s totally the way I feel. Thanks for being a super sponsor. Oh that is one fun card! Thank you for being Super Sponsor this season! Vanessa! Love the new stamp set and your adorable card! Thanks so much for being a Super Sponsor again and for always being a great shop owner! Cute card. Sometimes I feel like I am juggling coffee. I love my coffee. Your sloth is so cute. Thanks for being a sponsor of the Coffee Lovers blog hop. What a fun card! 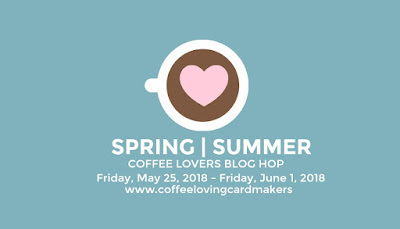 Thanks for being a Super Sponsor for the Spring & Summer Coffee Lovers Bloghop! This card is darling!! Love it!! Thank you for being a super sponsor!!! TFS Hugs!!! Love the card! Thanks for being a sponsor to this fun event! This is a great card! LOL. Thanks for being a sponsor on this hop! Love the rainbow effect with coffee cups! Thanks for being a sponsor. OMG! SO TRUE! I love the rainbow colored cups!!! Thanks for being a Super Sponsor!!!! Thank you for super sponsoring our hop again this year...you rock! Your card cracks me up! So cute and fun. Thank you for super sponsoring. Hilarious card! Breath Rainbows just too funny! I really like how you have each coffee cup in a different color thus of course being a rainbow! Very creative! And a sloth even better! So cute with the colorful cups and the striped background. thanks for being a sponsor. Thanks for being a great sponsor. Hee hee...Such a fun image! I suppose you needed that when you were about to open your new storefront. Congrats on making more of your dreams come true...I need to do a bit more shopping to help you reach goal in June. :) Thanks for being a super sponsor! Much success to you!